Whether model and actress Hiroko Matsumoto stepped out onto a runway or a film set, her star power was always immediately evident. 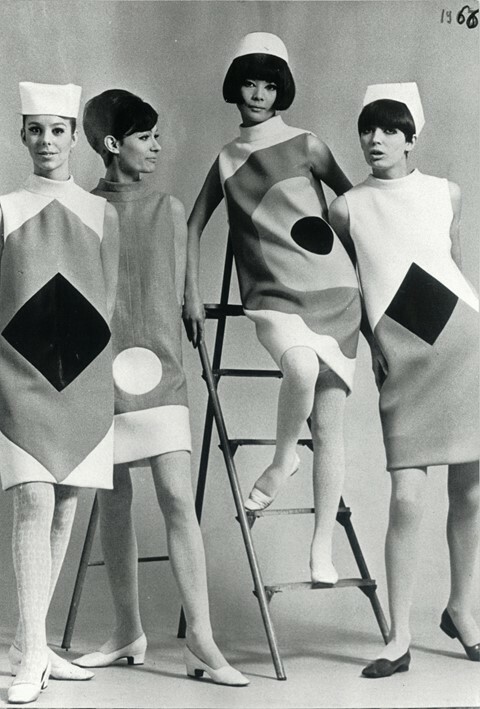 First invited into the limelight by French designer Pierre Cardin, Matsumoto created iconic images as his longtime beloved muse. Yet, as the first Japanese model of French couture, she also carved out a space for Asian women to find professional success in the western fashion and film worlds, carving a space in the industry for women like China Machado (who, when she appeared on the February 1959 issue of Harper’s Bazaar, was the first non-Caucasian woman to appear on the cover of an American fashion magazine). Today, we remember the striking woman, known among her peers as Miss Hiroko, who found success abroad as a visual storyteller while also overturning the stereotype of the passive muse in the process. An undercurrent of theatricality and 'plain old fun' defined Matsumoto’s look. With her penchant for the blunt bangs and short dresses characteristic of the 1960s Mod aesthetic, Matsumoto gravitated toward extremes in her everyday wardrobe. From white fur and polka dots to oversized buttons and miniskirts, she unapologetically experimented with volume and excess. Matsumoto also maintained an undeniable grace throughout her modeling career. 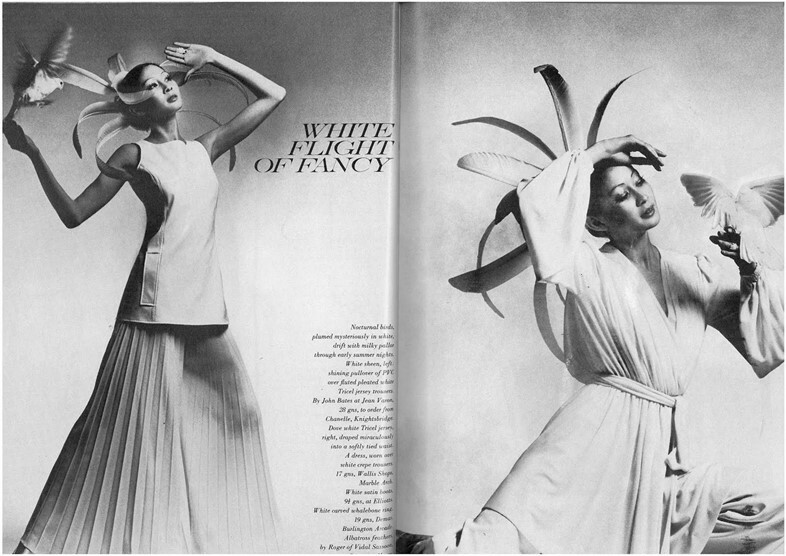 In one particularly memorable editorial for British Vogue in March 1969, entitled White Flight of Fancy and shot by London-based international photographer Clive Arrowsmith, Matsumoto struck elegant poses in the presence of white doves. She was dressed in all-white ensembles, from fringed tops, to pleated skirts and wide-leg pants, and her slicked-back hair was further enhanced by an abundance of plumes. Whether draped in pearls and a 'chat noir' dress from Yves Saint Laurent’s years as head designer for Dior, posing for a portrait by Cardin in feathered hat and fur-trimmed scarf, or donning more traditional Geisha-inspired ensembles for a François Truffaut film, Matsumoto’s sartorial claim to fame lay in her chameleon-like ability to transform whenever the camera turned her way. 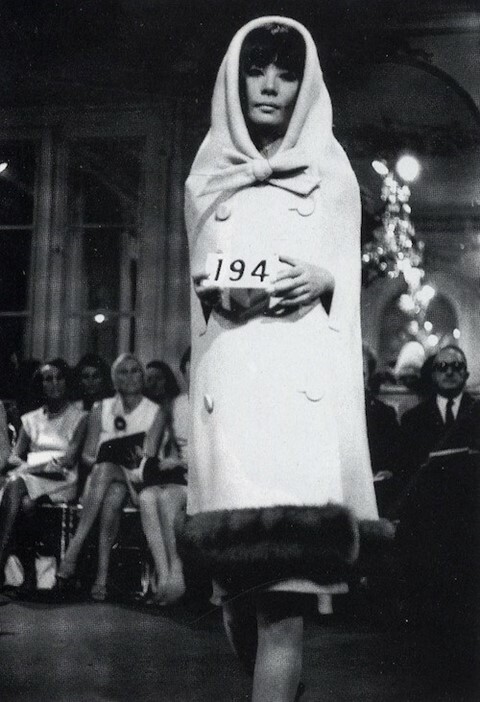 Hiroko Matsumoto entered the limelight in 1960, after her world collided with that of Pierre Cardin. During a trip to Japan in 1957, the then up-and-coming French designer fell in love at first sight upon meeting Matsumoto, and eventually invited the striking Tokyo native to Paris to model his new collection. She served as his go-to muse for much of the 1960s, while also modeling for Vogue, having her portrait taken by legendary photographers including Irving Penn and Helmut Newton, and briefly serving as the face of Nina Ricci. 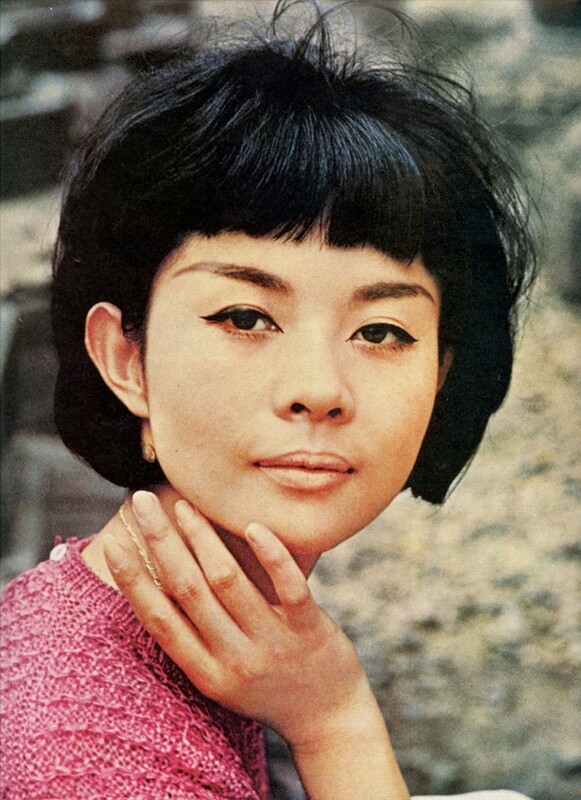 When her whirlwind modeling career in 1967 ended, Matsumoto briefly tried her hand at acting. 1970 found her cast as a Japanese tourist-turned-mistress to Antoine Doinel in François Truffaut's Bed and Board (or Domicile Conjugal). In the film, Matsumoto donned a custom-designed wardrobe by Hanae Mori, the storied Japanese designer, and coincidentally, the first Asian woman to be admitted by France’s Fédération Francaise de la Couture as an official haute couture design house. 1967 also marked Matsumoto’s marriage to the president of the Pierre Cardin group, Henry Berghauer, who would later serve as the head of Hanae Mori and Hervé Leger. Following the birth of her child with the manager of French pharmaceutical company Roussel Uclaf, Jean-Claude Cathalan, who she married a few years after her marriage with Berghauer dissipated, Matsumoto faced a personal trauma. Her nearly two-year-old daughter Maxime Cathalan was kidnapped in Neuilly-sur-Seine, and only returned after a ransom of 1.5 million Francs was paid in June 1975. During this time, Matsumoto took a step away from the public eye to focus on motherhood. She maintained a career as a fashion magazine editor alongside other passion projects before passing away, most likely from health complications, in Paris at age 67. While Cardin may have popularised and publicised Matsumoto, she fully owned every minute of her moment in the spotlight. As the first Japanese woman to model French high fashion, Matsumoto carved out a path for women who did not necessarily fit the mold for couture at the time and, in doing so, left behind a blueprint for how to diversify the runway in the years to come. Her willingness to explore unprecedented professional opportunities beyond the boundaries of stereotype, along with her perpetual sense of play and experimentation in her wardrobe choices, undoubtedly makes Matsumoto the AnOther woman.